Posted by wastedspacer in IT Security, Rants, Spam, SPIM and other annoyances, Technologies. The phone rang early this morning, a call reportedly from AIG-Corp (212) 458 7243. A man calling himself Dan with what sounded like a heavy Indian or Pakistani accent allegedly working for the Windows Service Center. Having received a number of these calls before my first thought was to simply hang up. Instead, since I still had my coffee to finish off, I started asking the questions starting with where they were calling from – it sounded like “Dulls Testes” – I said you mean “Dallas Texas”? He was calling to inform me that my Windows computer “was causing virus”. I knew what would be coming next so I ask for another telephone number in case we get “cut off” (214) 272 0277. About this time I hear the phone being snatched away then someone with a lot better English tried to explain about how my Windows system was reportedly attacking the internet and if I would allow them to connect to my PC they could remotely fix the problem (yeah right). They want me to install a program called AMMYY (which is actually a free remote-control software for WIndows). I ask why Microsoft would want me to load a non-Microsoft program? I then ask for the IP address my machine is supposedly using, he doesn’t have that available and by now the caller is clearly getting irritated. I realize that since I was in fact using a Mac at that time I could follow along and this is not going to work, but feigning some denseness, I haven’t told him that yet. Eventually when I reveal I am using a Mac, the gig is up and he starts hurling numerous expletives, after I suggest he seek another profession or source of income and I hang up. After a little more research baiting the Windows Service Center scam folks is become something of a popular “sport” captured and reported such as this example on Youtube (you will notice dozens of similar recordings). The Dallas number (214) 272 0277 is surprisingly listed under the Dallas BBB, I suspect it is may be an auto-populated reference. Though it does seem to have an actual postal address of 12800 Abrams Rd, Dallas, TX 75243-2104 (looks like a field on Google Street View)! As for the phone numbers – if you see these numbers below on your caller ID Beware! 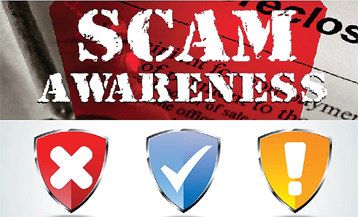 Searching them both on Google or Bing reveals numerous scam complaints going back over 4 years. The AIG-Corp CID is clearly (and illegally) spoofed!